Meet Betty, the go-to-gal for all your inquiries, needs and general information. She’s also here to offer that pick me up boost to make your day and training session a bit better. This kind and geeky chick will help you customize your membership to best suit your needs and is always more than happy to help get you on right track for better health and fitness. 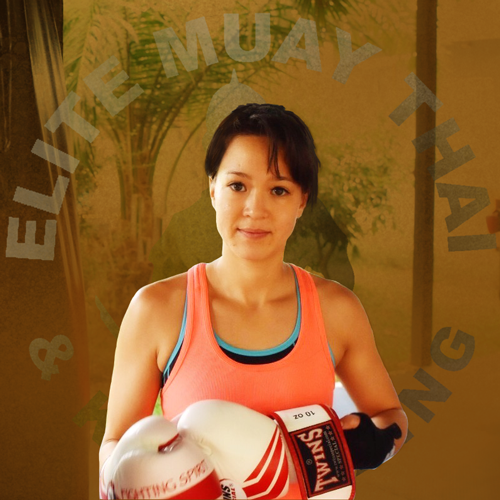 Don’t let her small stature and bubbly personality fool you though – her Muay Thai skills are legit and tough as nails! Meet Francois, the Owner and Founder of Elite Martial Arts Academy. Having trained and competed in Thailand for many years, his expertise in all aspects of Muay Thai technique and knowledge of Thai customs and culture shine through in his teaching. He knows the value of hard work, consistency and commitment and is always willing to answer any questions to help you build upon your skills. In Francois’ class, you can always be assured that you will receive top notch instruction all while developing your cardio, conditioning and becoming the true martial artist you’ve always wanted to be. 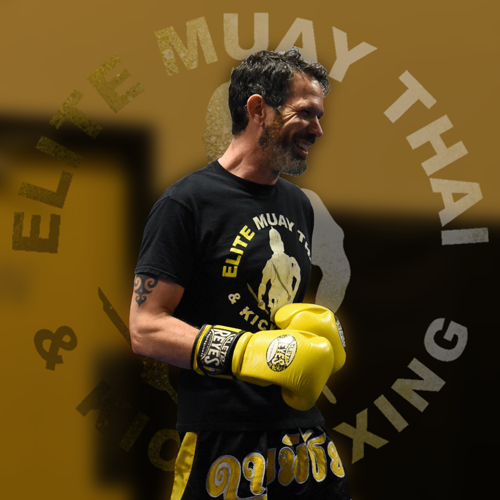 Meet Stan, the wonderfully jovial and tough Muay Thai coach at Elite. He will make you feel at home and comfortable as he teaches you how to perform some wicked Muay Thai techniques, all the while getting you in the best shape of your life. He believes that a healthy happy mind comes from a balance between working hard and having fun. 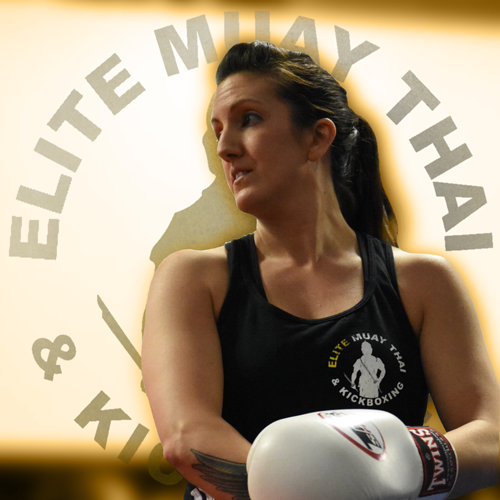 Get ready for a blood pumping, heart racing authentic Muay Thai class with this amazing instructor. Meet Matt, studious, strong and filled with fun ideas to get you in wicked shape. He has fuelled his love for Muay Thai over many years, and is excited to bring you his experiences and knowledge for the sport. Matt believes that every person is welcome, whether they be small, big, timid or not, and that this sport will change every fibre of their being to becoming stronger and more resilient toward life’s challenges! 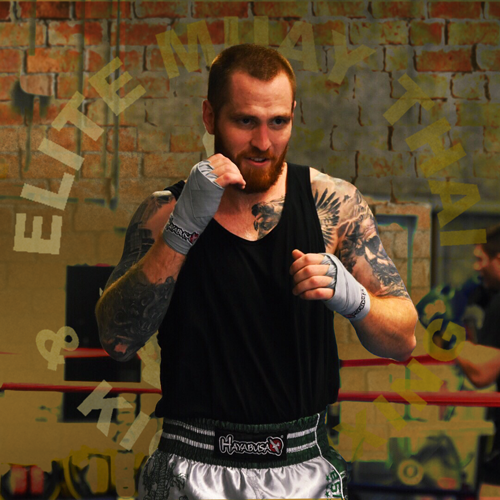 Meet Kyle, this down to earth, confident and daring instructor is ready to help guide you on your Muay Thai journey. Deeply immersed in the sport, Kyle is a real gem. He has taken on the role of head instructor for the Teens Muay Thai program, helps coach the competitive team, all the while he himself competing and teaching Adult Muay Thai classes. Whether you are a beginner or competitor, this guy will be there with a smile on his face and open arms, ready to help you in any way he can! Meet Tina, the organized and and meticulous wonder woman who manages to keep the Elite machine running smooth. Tina believes that everyone can benefit by joining a martial art, training in an atmosphere of inclusion and kindness to your fellow warrior, and building your friends into becoming better individuals through your actions. She is always there to answer questions, be a friend, and aid you in your journey to becoming the best person you can be. Meet Kieran, master of the ground game known as “The Gentle Art”. Kieran has trained in Brazilian Jiu-Jitsu for years and would be happy to help you learn the art of ground fighting. Kieran is appreciated for his wise words, easy personality and heart of gold, and he will make you feel like you’re a part of the Elite Family in no time. Embrace your inner Ninja, learning how to tie human knots with this sport filled with passes, sweeps, choke holds and joint locks. Meet Jordan, the submission specialist. With over 11 years experience in the ground sport of Jiu Jitsu, this black belt will challenge you in ways you never before thought possible, strengthening both your body and mind to take on life as a warrior would. His ego-less teaching style promotes classes that are fun, engaging and perfect for anyone wanting to learn more about the chess game we call Jiu Jitsu.